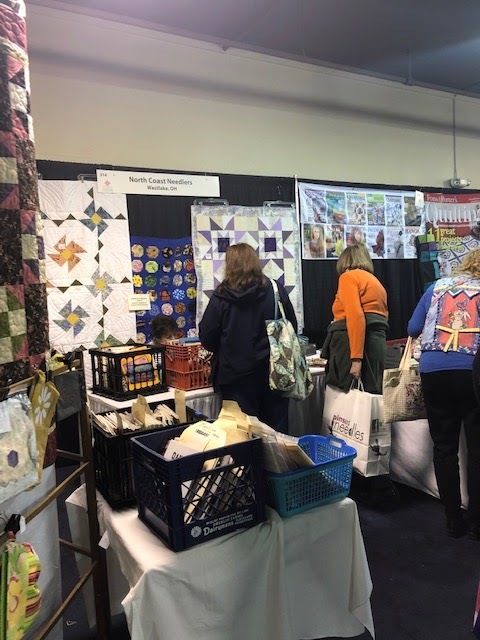 April started out with the NCN guild participating at the Original Sewing & Quilt Expo with a booth selling magazines, books, sewn items, three wonderful opportunity quilts and displaying the many talents of our guild. Thanks to the many members who volunteered, set up, displayed and helped in so many ways. 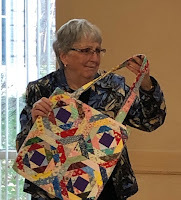 Our April meeting brought many wonderful "Show and Tell" quilts, a jelly roll rug, bags and pillows. We also had many members complete community serve quilts, pillowcases and dog beds. Thank you all for your efforts! After a quick meeting and show and tell. 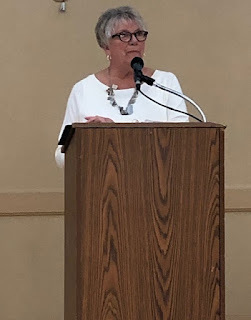 Barbara Smith gave a lovely presentation on Civil War and Dear Jane Quilts as well as a wonderful trunk show of her creations. 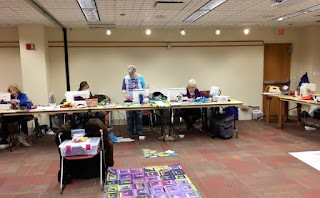 April 12 - Ohio One Stop Shop Hop Friday 9 a.m. - 3 p.m. Saturday 9 a.m. - 3 p.m. Wright State University Nutter Center 3640 Colonel Glenn Highway, Dayton, OH 45435 $5 dollar entrance fee Drive to one central Ohio location, instead of driving to each quilt shop, and get to visit all of your favorite Quilt shops in one place! You save all that driving, time, and gas. How fun and convenient is that? 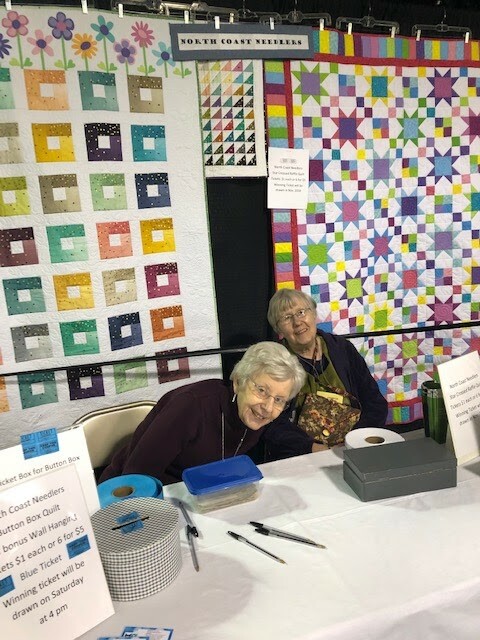 May 1 - Sauder Village Quilt Show & Workshops Wed, May 1 – Sat, May 4 Sauder Village, 22611 OH-2, Archbold, OH Celebrate the rich tradition of quilting at northwest Ohio’s premier quilting event! 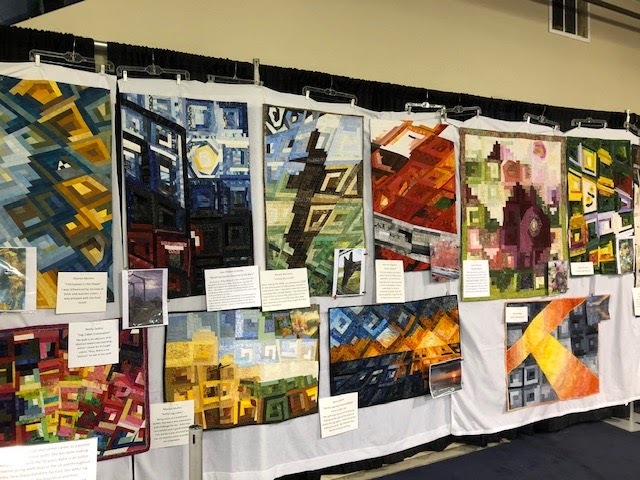 With hundreds of quilts on display, this 43rd annual Quilt Show is always a kaleidoscope of color and creativity! 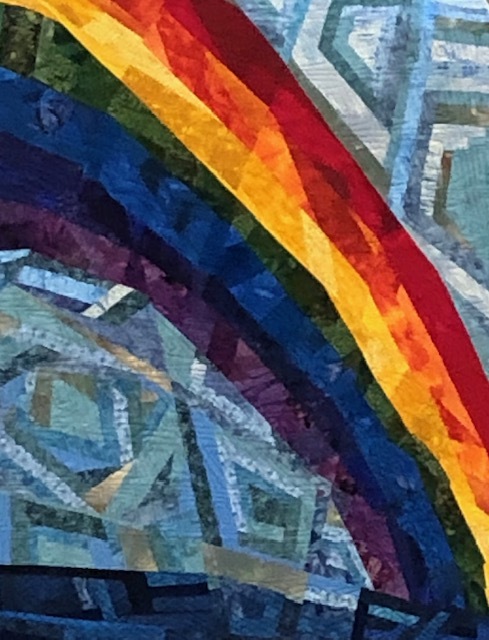 Quilts will be on full-length display in categories ranging from pieced, appliqué and mixed media to contemporary art, masters, baby, miniatures and youth. Throughout the week guests will have an opportunity to meet and learn from special guest artists. There will be a variety of workshops, a Vendor Market in the Museum Building, special music, demonstrations and great shopping! 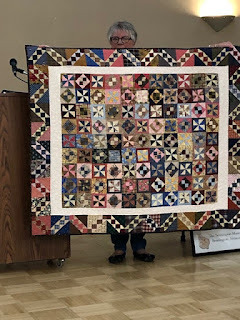 May 24 - Oak Hill Festival Of Flags - Quilt Show Fri, May 24, 12 AM – Mon, May 27, 12 AM Oak Hill, OH The Oak Hill Festival of Flags is an annual tradition that has commemorated Memorial Day and has become a fun filled way to celebrate the holiday weekend. The Festival of Flags was first created by the town to celebrate patriotism around Memorial Day weekend. There are more than 2000 flags on display and festive decoration around the town each year for the event. The festival is held at Aetna Park and includes continuous, fun and free entertainment for people of all ages. 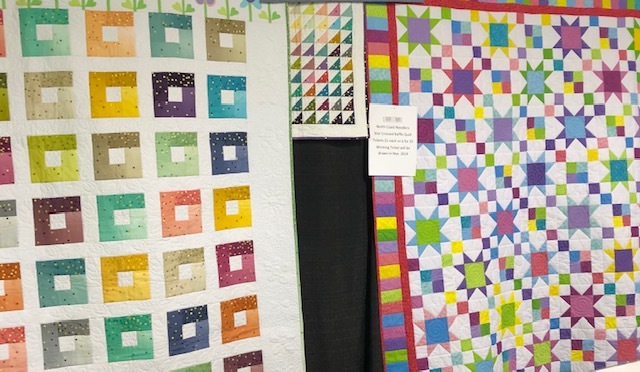 Features like rides, crafts, food booths, an old car show, a baby contest, dog show, several historic exhibitions like Oak Hill’s one room school, a quilt show, a karaoke contest, a corn hole tournament, children’s activities and an annual 5-k run. The festival highlights the history of the town with five days of endless activities. After a short break, our own Betsy Bauman gave a thoughtful presentation on "Why Do People Make Art?" Thank you for sharing yourself and your many talents! Another Of Betsy's wonder art creations! at the Expo in April! Want some raffle tickets? 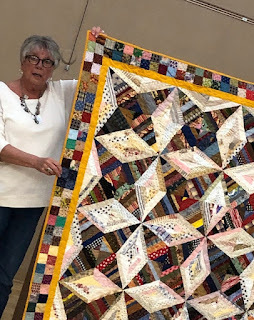 NCN members started this beautiful raffle quilt at your January meeting, finished by Community Service elves, ready to be quilted, bound and then raffled! Apr. 4 - 6 Original Sewing & Quilt EXPO I-X Center, Cleveland, Ohio Sewing. Quilting. Needle Arts. 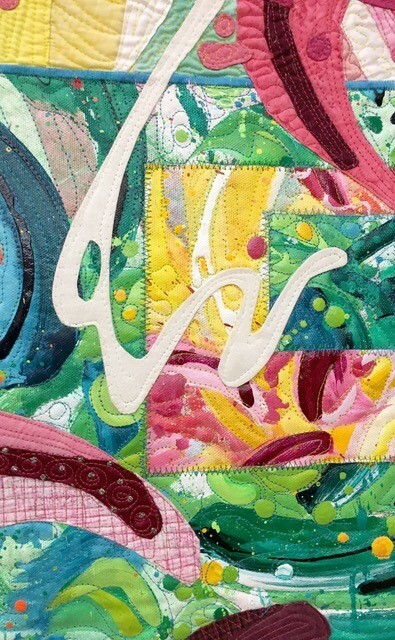 Original Sewing & Quilt Expo knows all about the care and feeding of your creative lives. The Expo is a place to find the latest and coolest techniques and products, and learn new skills with cutting-edge education. 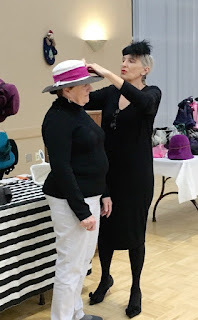 It’s three days of classes and workshops, stage shows, runway fashion shows, how-to demos, incredible display galleries, fabulous shopping and more! January meeting - New Year, New Quilt! 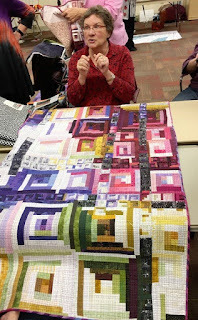 January 2019 meeting brought many wonderful show-and-tell projects, as usual! After the meeting and show and tell, members pulled out their sewing machines, cutting mats, rotary cutters, irons, and started working on a new quilt to raffle for 2019. 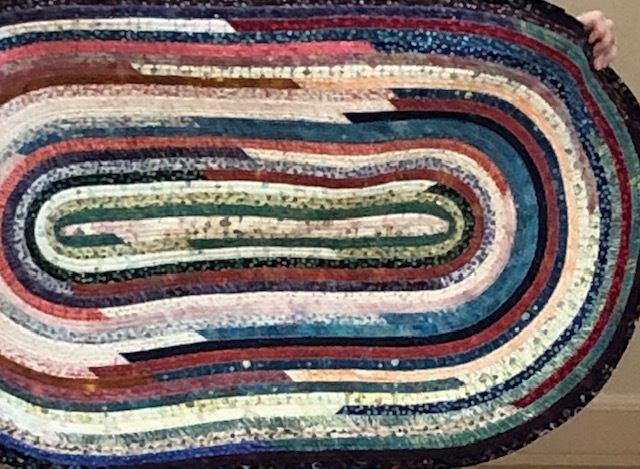 On the Way to Being a Beautiful Quilt! February — Betsy Bauman presenting “Why Do People Make Art?” Part Art History, part Contemporary Quilt Art, this Power Point lecture illustrates the many reasons artists throughout history have created art: to explore beauty in nature or communicate ideas; to tell a story or to seek social change; to evoke emotion or to reinforce cultural ties, and many more. You may learn a few things to amaze your family and friends—and perhaps come away with inspiration for your next quilt masterpiece! Come join us in February! shows. 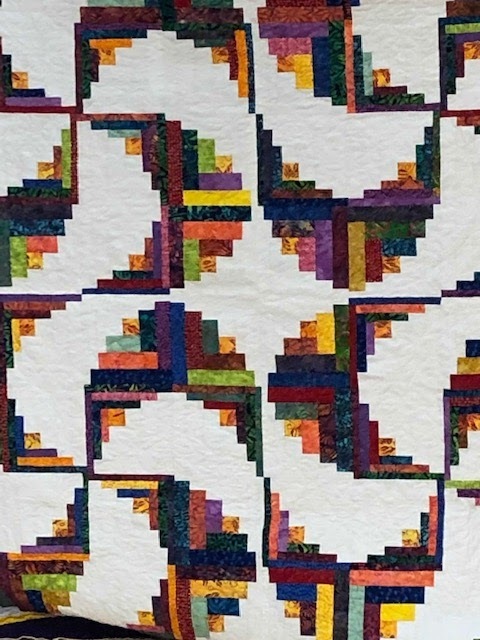 Join us for an intimate look into the world of modern quilting. 2018 Getaway, or even better. registration form please list three choices for classes. classes, meals, etc. other than no room option for those who elect not to stay over. There will be show and tell on Friday night of finished projects from last year. Committee has planned for you. incredible display galleries, fabulous shopping and more! December - Tis the Season of Fashoinable Hats! 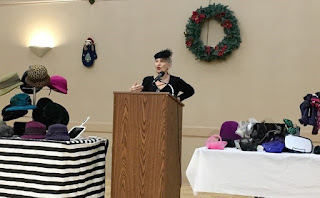 Local milliner Lee St. Marie gave a tip top presentation for the December holiday potluck. Lee's presentation also included a fun trunk show of hats, headbands and fascinators using North Coast Needler models. 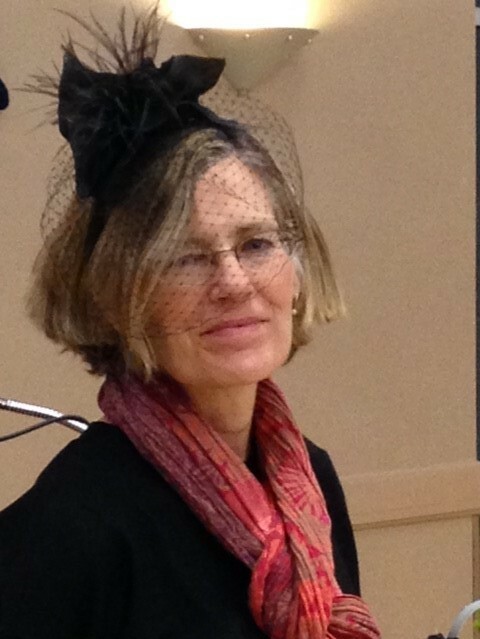 Lee designs and creates many lovely hats, and owns a shop in Rocky River on Old Detroit Rd - "Studio St. Marie." Hat's off to you all and a fun evening for all who attended! Wild New Look for the Season! We will be having a Sew-In after the business meeting in January. 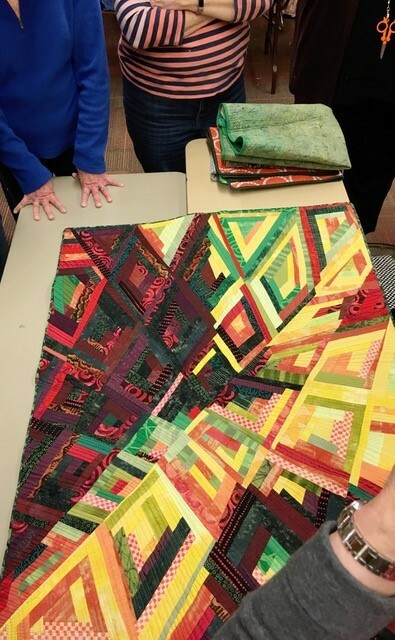 The project will make a bed sized quilt which will then be raffled to raise money. I need people to sign up for specific tasks for that evening as follows: Sewers: We will need eight sewers to do the piecing that evening. With luck, we can finish (or near finish) the quilt top in our regular meeting time. Iron Stations: We will need approximately six pressing stations to keep ahead of the sewers. Specifically, I need people to bring either irons and ironing boards or irons and ironing pads that can be used on a table top. Cutting Stations: We will need approximately four cutting stations to trim flying geese units as they are sewn. For each these we will need a cutting mat, rotary cutter and ruler (at least 6 x 12). (The units for piecing will be pre-cut. Only the flying geese will need cutting that evening.) The Iron and Cutting Stations can be manned on a rotating basis or by the person bringing the supplies, as needed. If you are planning on being at the January meeting and would like to sign up for one of these positions, please contact Martha Hamilton via email and let me know your preference. This should be a fun evening. Mark your calendars, call your friends, and join us for a week-end quilting retreat of friends (new and old), instructed classroom projects, and lots of quilting. You do not want to miss the NEORQC 2019 Getaway with its fantastic line-up of classes, knowledgeable instructors, and fun filled times. The Getaway will once again be held at the Holiday Inn in Boardman. It is a great venue and the hotel staff does a wonderful job while we are there. Just ask anyone who was at the last three Getaway events. We had a wonderful time! The Getaway Committee is diligently working to make the 2019 Getaway just as fun as the 2018 Getaway, or even better. We have some returning teachers, as well as, some new teachers for 2019. There is something for everyone. So be sure to check out the classes. The classes with full descriptions and photos can be seen on the NEORQC website at www.neorqconline.org. Classes will be assigned on a first come basis. On the registration form please list three choices for classes. 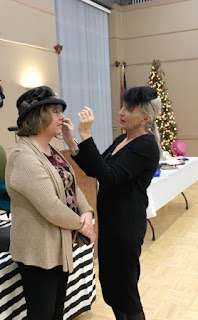 2-night stay (double occupancy); Friday dinner; Saturday breakfast, lunch and dinner; Sunday breakfast and lunch; sewing area; refreshments; hotel amenities; taxes and gratuities. If commuting –includes classes, meals, etc. other than no room option for those who elect not to stay over. There will be show and tell on Friday night of finished projects from last year. Saturday show and tell will be projects from home. And on Sunday, show and tell will be projects from this getaway. There will be door prizes and attendee gifts shared throughout the Getaway. Come and see what the Getaway Committee has planned for you. EXPO I-X Center, Cleveland, Ohio Sewing. Quilting. Needle Arts. Original Sewing & Quilt Expo knows all about the care and feeding of your creative lives. The Expo is a place to find the latest and coolest techniques and products, and learn new skills with cutting-edge education. 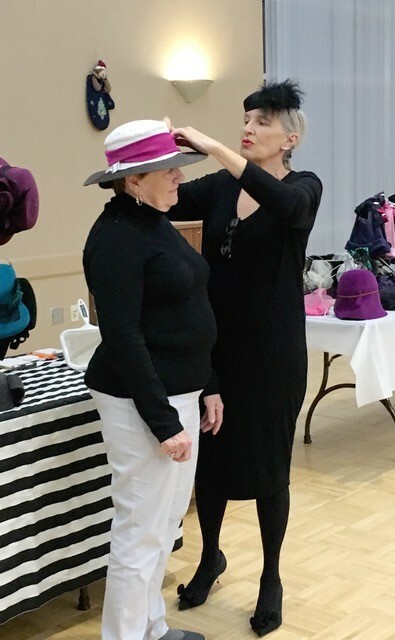 It’s three days of classes and workshops, stage shows, runway fashion shows, how-to demos, incredible display galleries, fabulous shopping and more! North Coast Needlers had the pleasure of hosting quilt artist, instructor and author Katie Pasquini Maspoust at the November meeting . 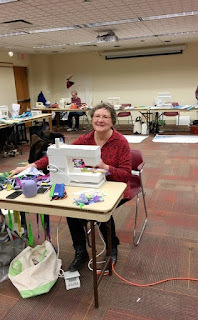 Below are photos of the wonderful workshop with Katie that our lucky members were able to participate. Can't wait to see your projects! December 11th North Coast Needlers Holiday Party - starts at 6pm- potluck! Feb. 17 - 19 NEORQC 2019 Getaway - Mark your calendars, call your friends, and join us for a week-end quilting retreat of friends (new and old), instructed classroom projects, and lots of quilting. You do not want to miss the NEORQC 2019 Getaway with its fantastic line-up of classes, knowledgeable instructors, and fun filled times. The classes with full descriptions and photos can be seen on the NEORQC website at www.neorqconline.org. Classes will be assigned on a first come basis. On the registration form please list three choices for classes. Class Choices: Let’s Color It – Dee Hart, Instructor Wings – Carolyn Burgess and Heidi Dietz, Instructors Let’s Fill in the Blanks – Mary Bernower, Instructor Elephant Abstraction – Laura Nolletti, Instructor Classic Scrappy Double Wedding Ring – Linda Miller, Instructor Judy Niemeyer Projects New or Unfinished – Karen Conley, Instructor Machine Quilted Sampler with Westalee Templates – Clare Neff, Instructor Delectable Mountains – Cindy Casciato, Instructor Flower Power – Ginger Mangie, Instructor Open Studio Registration includes: 2-night stay (double occupancy); Friday dinner; Saturday breakfast, lunch and dinner; Sunday breakfast and lunch; sewing area; refreshments; hotel amenities; taxes and gratuities. If commuting –includes classes, meals, etc. other than no room option for those who elect not to stay over. There will be show and tell on Friday night of finished projects from last year. Saturday show and tell will be projects from home. And on Sunday, show and tell will be projects from this getaway. There will be door prizes and attendee gifts shared throughout the Getaway. Come and see what the Getaway Committee has planned for you. Apr. 4 - 6 Original Sewing & Quilt EXPO I-X Center, Cleveland, Ohio Sewing. Quilting. Needle Arts. 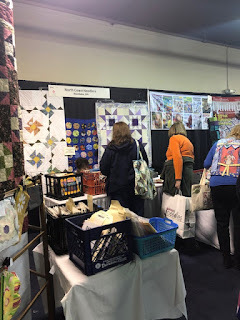 Original Sewing & Quilt Expo knows all about the care and feeding of your creative lives. The Expo is a place to find the latest and coolest techniques and products, and learn new skills with cutting-edge education. It’s three days of classes and workshops, stage shows, runway fashion shows, how-to demos, incredible display galleries and great fun. North Coast Needlers members are helping with a extensive service project for Frontline Service. We are providing 70 "Eye Spy"quilts along with totes and Christmas stockings under the supervision of Cathy Flament and Janelle Reardon. Many thank yous for everyone that has helped quilt and sew for this wonderful and much appreciated community service project! Nov. 2-3 Rocky River Senior Center Harvest Craft and Quilt Show Friday and Saturday.